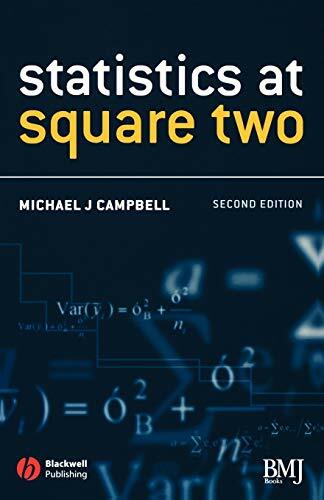 Updated companion volume to the ever popular Statistics at Square One (SS1) Statistics at Square Two, Second Edition, helps you evaluate the many statistical methods in current use. Going beyond the basics of SS1, it covers sophisticated methods and highlights misunderstandings. Easy to read, it includes annotated computer outputs and keeps formulas to a minimum. Worked examples of methods such as multiple and logical regression reinforce the text. Each chapter concludes with exercises to stimulate learning. All those who need to understand statistics in clinical research papers and apply them in their own research will value this compact and coherent guide.